Frequently misunderstood in its aesthetics and misapplied as a term, goth rock is an offshoot of post-punk that existed primarily during the early to mid-'80s. Its reputation as the darkest and gloomiest form of underground rock is largely deserved, though today that reputation stems more from the visual theatricality of its bands and black-clad followers. Sonically, goth rock took the cold synthesizers and processed guitars of post-punk and used them to construct foreboding, sorrowful, often epic soundscapes. Early on, its lyrics were usually introspective and intensely personal, but its poetic sensibilities soon led to a taste for literary romanticism, morbidity, religious symbolism, and/or supernatural mysticism. Goth rock was generally not a critically acclaimed style, given its penchant for florid poetry, relentlessly mournful dirges, and melodramatic excess. However, it spawned a devoted, still-thriving subculture that kept its aesthetics alive long after the music's initial heyday had passed. The godfathers of goth-rock were British post-punkers Joy Division, whose bleak, remote, obsessively introspective music and lyrics laid the initial foundation for goth. But for all intents and purposes, the true birth of goth rock was "Bela Lugosi's Dead," the 1979 debut single by Bauhaus. Already chilly post-punk outfits like the Cure and Siouxsie & the Banshees became full-on goth bands around the same time, and their heavy, menacing makeup and dark clothes became an important part of their fans' expression. As goth rock's popularity spread among a certain segment of sensitive, alienated youth (first in the U.K., where most of its bands came from, then in the U.S.), its fashion sense grew more and more outlandish, and the original sound evolved somewhat. The Cure, Siouxsie & the Banshees, and the Mission UK incorporated more pop and alternative elements in their music, while the Sisters of Mercy, Fields of the Nephilim, and the American band Christian Death took a heavier, sometimes metal-influenced approach. By the end of the '80s, the original goth-rock movement had ceased to exist, but the music mutated into new forms and continued to influence many of rock's darker subgenres. During the '90s, the goth sound began to cross-pollinate with industrial music, producing hybrids that appealed to both sides, as well as the darkwave subgenre (which also incorporated '80s synth-pop and dream-pop). The latter half of the '90s also saw goth rock's influence cropping up all over heavy metal; a new breed of progressive black metal bands drew heavily from goth's sound and style, while some alternative metal bands also borrowed from goth rock's visual imagery. 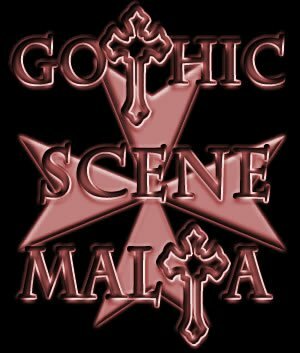 like the gothic scene malta page on & get udated with all the gothic events happening in malta.